Product prices and availability are accurate as of 2019-04-17 04:45:03 UTC and are subject to change. Any price and availability information displayed on http://www.amazon.com/ at the time of purchase will apply to the purchase of this product. 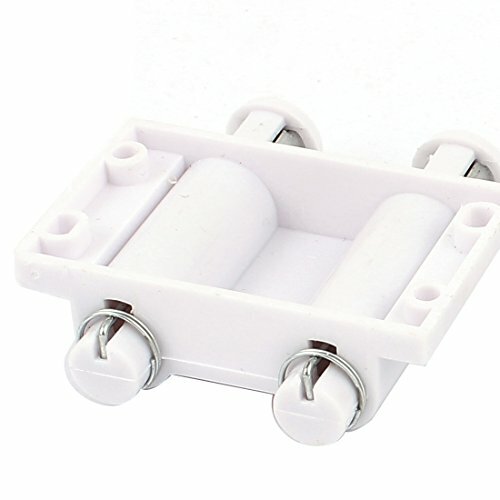 Product name: double head magnetic catch, net weight: 82G, package content: set x magnetic catch, some installation parts included., material: plastic, metal, main color: white, silver Tone. Product Name: Double Head Magnetic Catch; Net Weight: 82g Package Content: Set x Magnetic Catch, Some installation parts included. 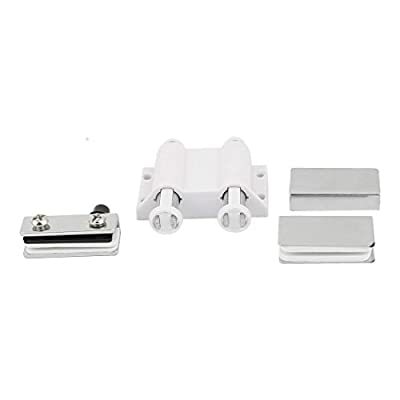 ; Material: Plastic, Metal Main Color: White , Silver Tone; Mounting Hole Size: 3mm/0.12", 4.5 x3.2mm/0.18" x 0.13"(L*W) Dimension: 58 x 57 x 16mm/2.3" x 2.2" x 0.63"(L*W*H); Hole Distance: 48 x 15mm/1.9" x 0.6"(L*W) Clamp Clip Size: 40 x 22 x 10mm/16" x 0.87" x 0.4"(L*W*H); Fit Glass Thickness: Max6mm/0.24"